The online version of this article ( https://doi.org/10.1186/s12874-019-0717-9) contains supplementary material, which is available to authorized users. In our previous analyses of other domains of Cochrane RoB tool in Cochrane reviews have shown that judgments and supports for judgments in those other domains were very inconsistent as well [12, 13, 14], further supporting the idea that more attention needs to be devoted to the way authors use this tool. 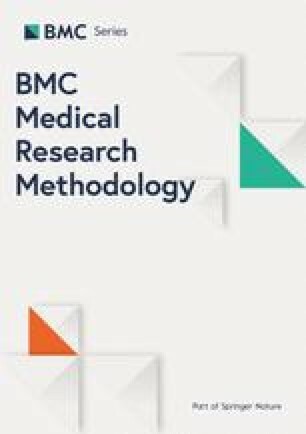 Babic A, Pijuk A, Brazdilova L, Georgieva Y, Raposo Pereira MA, Poklepovic Pericic T, Puljak L: Judgments of other bias in Cochrane systematic reviews of interventions are highly inconsistent and thus hindering use and comparability of evidence. BioRxiv 2018, 366591; doi: https://doi.org/ https://doi.org/10.1101/366591. Barcot O, Boric M, Poklepovic Pericic T, Cavar M, Dosenovic S, Vuka I, Puljak L: Judgments of risk of bias associated with random sequence generation in trials included in Cochrane systematic reviews are frequently erroneous. BioRxiv 2018, 366674; doi: https://doi.org/ https://doi.org/10.1101/366674. Higgins PT, Sterne JAC, Savovic J, Page MJ, Hrobjartsson A, Boutron I, Reeves B, Eldridge S: A revised tool for assessing risk of bias in randomized trials in: Chandler J, McKenzie J, Boutron I, Welch V (editors). Cochrane methods. Cochrane database of systematic reviews 2016, issue 10 (Suppl 1). dx.doi.org/ https://doi.org/10.1002/14651858.CD201601 . 2016.